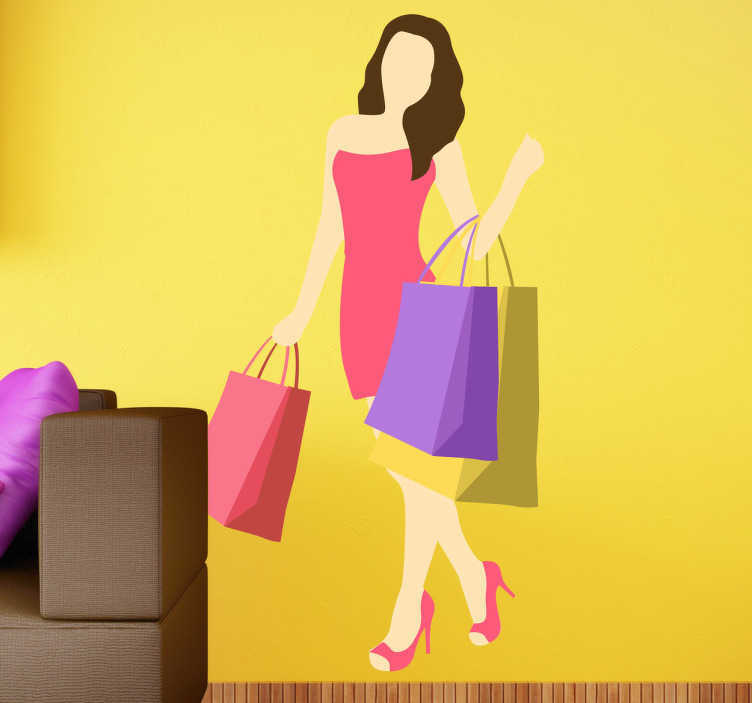 A fashion wall sticker illustrating a women doing her shopping in her casual summer dress. Brilliant to decorate your own shop! A high quality shopping decal to make your establishment more attractive for clients! It is super easy to apply and does not damage or leave any residue on surface upon removal.